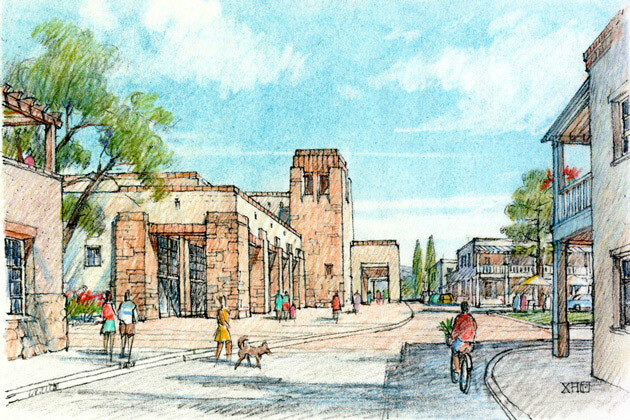 The Los Alamos Downtown Master Plan transforms a downtown currently dominated by parking lots and controlled by suburban zoning into a vital, pedestrian-oriented town center with a new main street lined by mixed-use buildings. 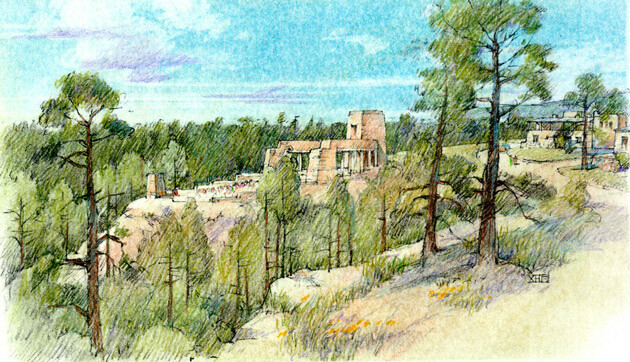 Anchored by a performing arts center facing a public plaza at the north, the main street terminates at an outdoor amphitheater overlooking the spectacular Los Alamos Canyon at the southern end. 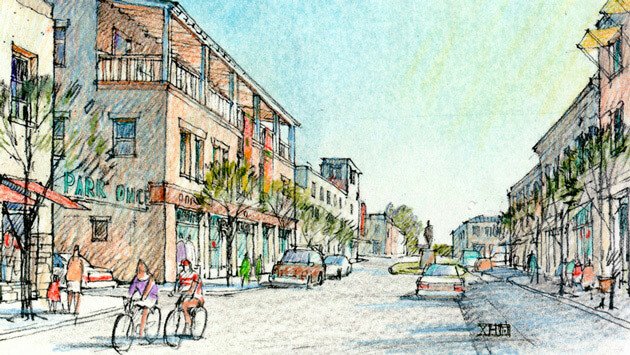 Other proposed redevelopment opportunities are infill housing and an office campus for the Los Alamos National Laboratories. Implementation of the Master Plan is achieved through a series of integrated public and private actions. Improvements to the civic infrastructure of parks and streets, adoption of a new regulating plan and development code, and the creation of a park-once district will establish a comprehensive and enabling framework for private development.